Disclaimer: As the title indicates, this is not a political post. There is no agenda. This essay is, as always, just about me and my vanity. Barack Obama’s election to the Presidency was historic in all the ways that have been celebrated, discussed, and debated for the last few years. But his election also set a personal milestone for me too – although I didn’t realize it until a few weeks ago. 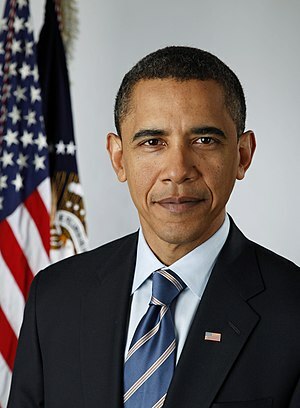 I am older than the President of the United States! And not just a little bit – as the pundits discussed the President’s fiftieth birthday, I was stricken with the fact that I am a decade older than the President of the United States. In my childhood, presidents were wiser, older. 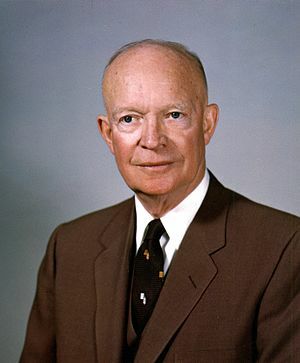 Think Eisenhower. Wasn’t he about eighty? And young presidents, like my beloved Jack Kennedy – well, he wasn’t young to me. I was twelve when he was killed. And Johnson aged before my eyes in the mid-sixties. Presidents were old. And you believed in them because of all their vast experience. But now I have crested that moment when suddenly I am on the other side of the age mountain, and there is no going back. I don’t think there will ever again be a president older than I. Gradually, but steadily, my life is being overtaken by youth. First was that all-important person, my hairdresser. I didn’t mind; I told myself that a younger woman will be hipper, and that will be good for me. Then it was my doctor. Okay, I thought, just out of med school means he is up to date on all the latest scientific knowledge, and that will be good for me. Then there was the police. Here certainly youth is a good thing – ensuring that our cops have the strength and reflexes to respond to dangerous situations. Like the young trooper dude who helped me break into my house when I locked myself out. Then it was my boss. I’ve tried to look on the bright side here too. My young boss still has young kids; she’ll understand the difficult balance between work life and home life. So I’ve given it my best shot to be philosophic about the whole thing. But the truth is: I’m annoyed. Government and work and medical care –and my hair – are going to be decided by people less experienced than myself. More and more over the years, more and more pieces of my life will be ruled by WHIPPERSNAPPERS. No, let me change ‘whippersnappers’ – because that makes me sound even older. My life will be ruled by PUNKS. God, I hope they are wise punks. You’re entitled to be annoyed, but I’m choosing to be encouraged. Goodness knows our country could use some fresh perspectives! You amuse me to no end, and you are so right. It’s funny how old people seem old until we are hurtling toward their ranks – my 50th birthday is, um, Saturday. Now, they are “experienced.” Priceless. I’ve been telling the mailman for TEN YEARS that he’s got the wrong house for those AARP letters! Okay, I know about the AARP in the US, but in Canada we actually get a plastic card which states that we are old and that people should give us every consideration!!! Well I would certainly make my husband carry the card, not me. I am now the “oldest” person at work. Well, aside from a few of the doctors who are not fresh out of med school. I just found out that the new girl that I thought was close to my age is really only 28. Bleh. I am not saying you are older and wiser here, but…. please tell me WTF is happening to my neck! I turned 44 and literally put on 10 real pounds in one week and they wont leave. Now, when I look in the mirror (especially my mirror on my car visor that is missing it’s cover so it seems to always be pointed at my neck) I don’t see MY neck any more. What is that? And how do I get rid of it? No hope. My neck is gone…. I’ll be blogging about it when I can choke down the tears through my thick no-neck. Yes, 62 is my own age! Yikes. Thank you for liking my post! You’re a riot and I love your writing! Have you been reading my mind? I’ve been noticing all of those things you mentioned for at least the last 5 years! The absolute scariest example in my life is when Doogie Howser aka my neurosurgeon walked into the examining room to tell me that he would be the one coming at my spine with a scalpel! YIKES! I asked him if he was sure he’d graduated from high school (well ?! He still had acne, for god’s sake!). I got the impression that he didn’t appreciate that question. But I hear you. I totally hear you. You make a great point! Here in Canada we’re told that baby boomers outnumber all the young whippersnappers at an all time high. There is going to be a shortage of appropriate age workers and industry is going to suffer. All that experience being removed from the workforce is going to be a problem. If any of this is true, why is it that everywhere I turn all I see is younger folk—all of whom are so much younger than me? My doctor, my carpenter, my dentist, and the policeman who pulled me over. He had the nerve to ask me how long I’d been driving and that maybe I should read my drivers’ manual again. He’s wrong, of course, and anyway I can’t find it. When I was pregnant with my second child, a 12-year-old doctor verified it. I just kept staring at his young face. Makes me rethink the meaning of Doogie Howser, MD. Perhaps it was trying to tell us something.